Nike had their latest advert ready and waiting for Tiger Wood’s fifth Masters victory on Sunday, and what an ad it is! 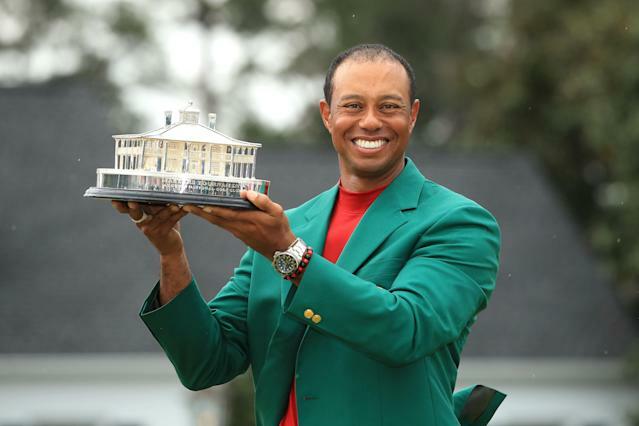 It honours the 43-year-old’s remarkable career after clinching his 15th major and first since 2008. 40-years on, Tiger still has the same dream as he did as a 3-year-old boy, to be the best in the world. With his win on Sunday, he’s now only three major victories off of Jack Nicklaus’ record of 18. Remarkably his win at the Masters this year was the first time he’s ever won a major when not leading at the start of the final round.